This very gripping and thrilling adventure story starts when the Duke De Richleau summons his financier friend Simon Aron to his Mayfair house to advise him over dinner, that their wealthy American friend Rex Van Ryn appears to have entered into Russia but has now disappeared. Richleau has received a letter, written in code, from him and he and Simon easily translate the message to the effect that their mutual friend has entered Russia (then under the control of Joseph Stalin) looking for mineral wealth and had been imprisoned, possibly in Siberia! Richleau and Simon agree to go to Russia, find him and rescue him with all possible speed. Simon can't go immediately as he needs to make arrangements at his City office for cover in his absence but the Duke is a man of leisure and also speaks fluent Russian and says he will arrange to go immediately and the two friends agree to meet in the middle of Moscow two weeks later. The friends, also including Richard Eaton, have many exciting adventures through Siberia and across the plains, mountains and forests of Soviet Russia, whilst being hunted by the Russian Secret Police. Ryn in now in prison somewhere within that vast country and the friends must find him without official papers. 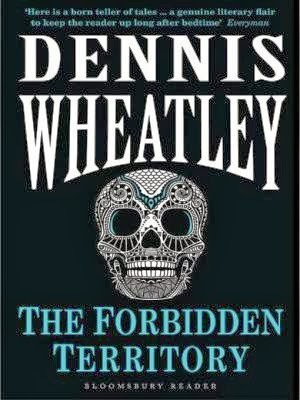 This story has a freshness and impact that I found very encouraging in a first novel particularly one that has just been republished but edited with an introduction by his grandson Dominic Wheatley. It was originally first published in 1933 and was an immediate success selling a huge amount of copies and establishing Wheatley as a very popular international adventure author. His writing influenced many writers of today. From there he went on to great financial success from his books and was a prolific author of over sixty published titles. In the 1960s he was selling over a million books a year. He died in 1977. All of his titles will be republished in ebook and paperback in the coming months introducing this very gifted author to many new readers. 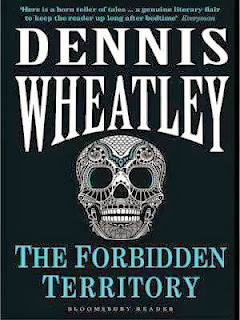 I enjoyed THE FORBIDDEN TERRITORY very much and remember reading with equal enjoyment some of his other books back in the 1960s or 1970s. This book did not seem dated at all and was a very suspenseful story told with great panache. Recommended.